Using the most basic possible description, what I will be making is an easel and drawing device that will be controlled by the manipulation of strings. The easel that I’ve constructed is roughly 3 feet tall and 20 inches wide, and is controlled by fishing line connected to popsicle sticks that have been wrapped in tape to allow them to be used as makeshift handles. 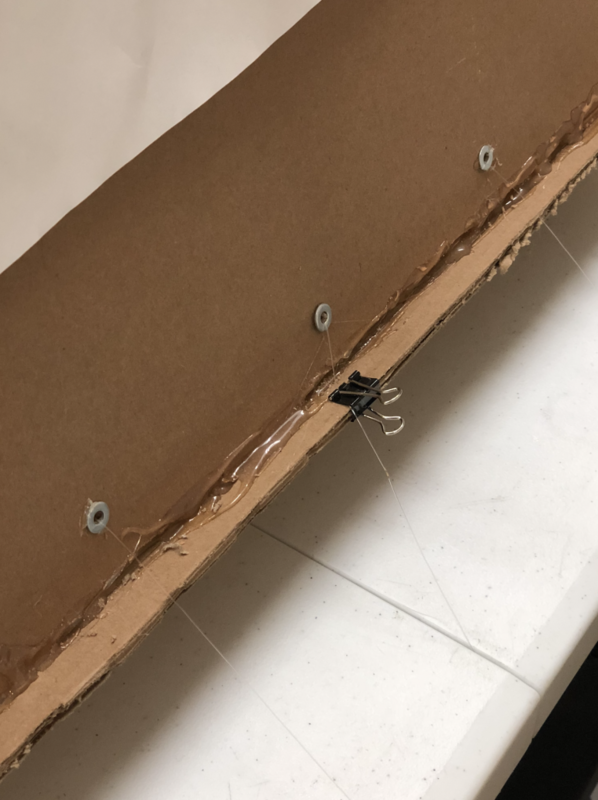 The fishing line has been threaded through binder clips and washers in order to prevent friction and preserve as much motion as possible. When I first ran the machine I found the much less accurate motion was translated to the drawing implement. I looked to make a machine that was would draw with motion taken from a blend of communicative and behavioral input. Communicative input. something like waving your hands or jumping is a concrete action that the viewer of the piece can do to communicate and interact intentionally with the machine. This was far easier to plan, because these are actions that can easily be communicated between the piece and the viewer. Behavioral input has been harder to plan for because, it is based off of unnintenally performed actions that influence the mechanisms in the machine. This input should hopefully be based less of individual actions than crowd movements and patterns. I plan on obstructing the viewer’s ability to understand the machine, by making the movement of the fishing line less logically linked to the movement of the machine on the easel. I hope to do this by coding the movement to make it less linear. Though my intention with this piece isn’t to confuse or trick the viewer I do hope to force them to learn the complications of the machines inner workings. In order for people to understand the machine I thought that I might put instructions, but I realized instructions also counteract my intention to make the machine slightly hard to understand, so I now intend to put instructions that will not directly pertain to the operation of the device. 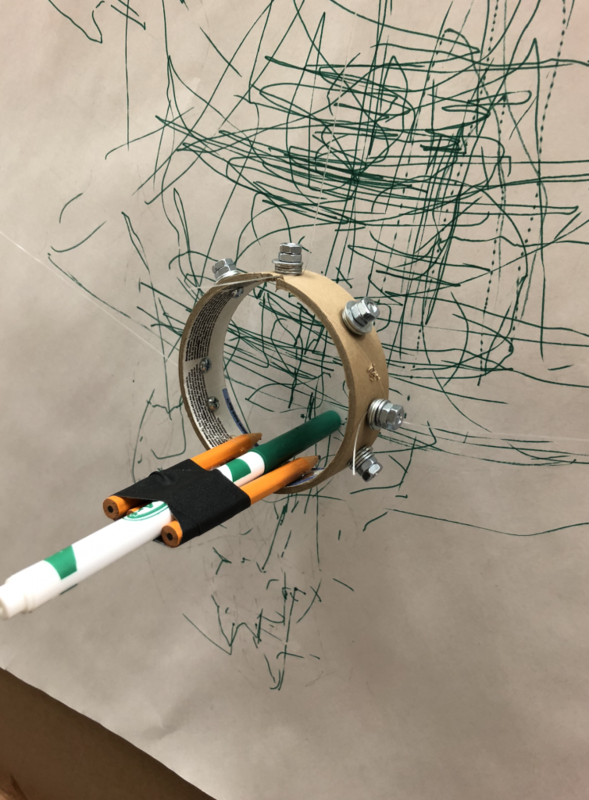 The work that the participant puts into the machine will directly translate into the movement of the center device, but hopefully by reversing the movement on both the X and Y axes I will distract the viewer from the inner workings. 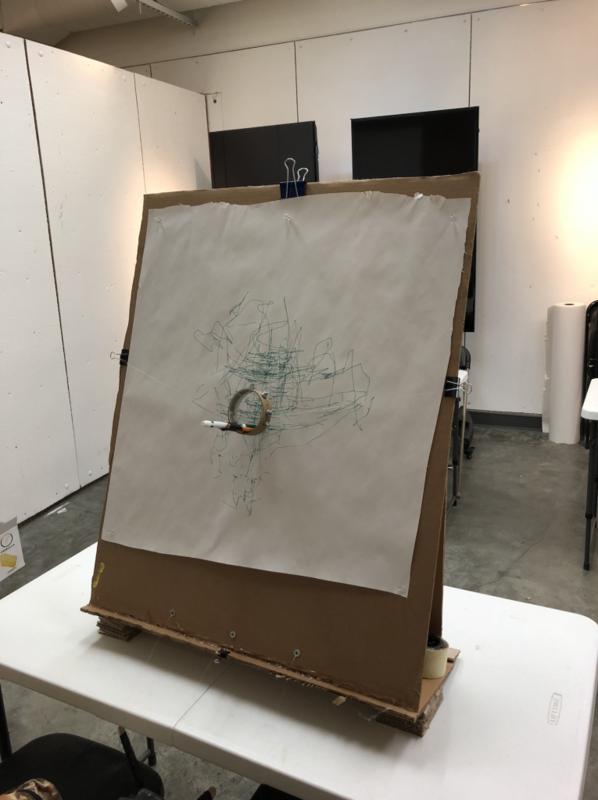 I also experimented with tying the line linked to the vertical motion of the piece to myself, so that my motion backwards and forwards in from of the piece would be linked to the movement of the drawing device in the center. My goals for this piece are to take this framework and structure that I have developed here and take it to a more expanded level. By increasing the scale of the piece I will give the viewer/artist even more creative control over what they are creating. My intentions with this piece in the future are to turn it from a sculpture to an installation artwork. 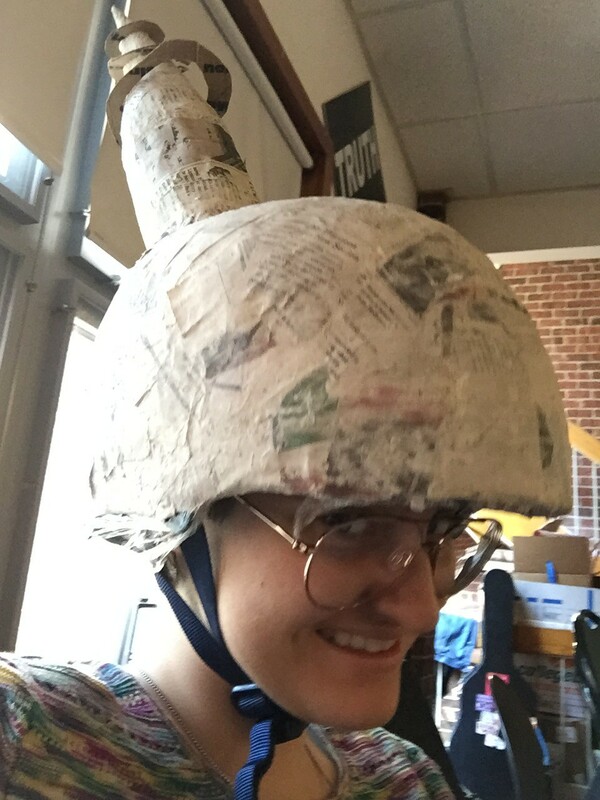 As I increase the scale I can help differentiate between the communicative input and the behavioral input.